Welcome to Westshore Honda in Tampa, Florida. Our new and used car dealership is here to assist with all your automotive needs. If you are shopping for a lease deal on a new Honda Civic, say hello to our finance department. After you drive home happy, our professional service team will handle your next oil change and tire rotation. We look forward to providing you with a family-friendly car-buying atmosphere near Brandon and Clearwater. Our helpful Honda team is familiar with the trim options on the complete line of new Honda vehicles. We also offer a diverse collection of used cars for sale. Whether you are looking for a new Honda Civic or a used truck from another manufacturer, we have the reliable used car you need to inspire your daily drive. 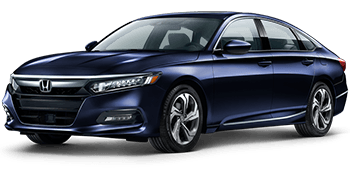 To help you secure the new Accord you have your eye on, we offer competitive lease deals and financing rates. Westshore Honda is also here for those of you who are already proud Honda owners. We have a service department on site and are here to help you order your auto parts online. Let us know how we can help you today! Westshore Honda carries the full lineup of new Honda models for sale in Tampa, Florida. 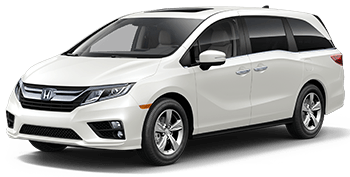 Our Honda sales department is here to tour you through the standard features, available options, and warranty benefits that complement your wants and budget. From the new Accord family-sedan to the new Odyssey minivan, there is a new Honda waiting for you at our dealership. Westshore Honda wants to put you in the driver's seat of a reliable used car. If you're looking for a used Honda Civic or a pre-owned sedan from a different manufacturer, you'll find a quality option at our nearby used car lot. We offer driver-friendly prices and financing options. If you are shopping for a used Honda Pilot and have a less-than-perfect credit score, discover our credit-challenged financing options in Tampa, Florida. Our Honda finance department is here to help you make your dreams of a new car possible. 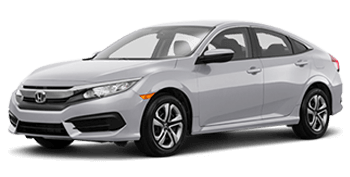 We offer affordable down payments and competitive Honda lease deals. Our skilled finance associates will tell you more about the ways we can help with your new Honda CR-V crossover. If you're curious about what your finance fees will be, take advantage of our payment calculator to estimate your monthly commitment. The Westshore Honda finance team can also help you decide whether it's better to buy or lease. Finance the Honda you deserve when you apply for your auto loan. When your used Honda Civic is due for its next service, come to the service department at Westshore Honda. We offer affordable oil changes and quick brake inspections in Tampa, Florida. While we focus on the service of Honda vehicles, we offer auto repair for most of the cars and trucks enjoying our nearby Brandon and Clearwater roads. 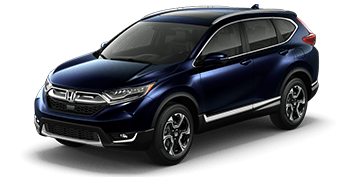 If you drive a new Honda CR-V or a used crossover from a different manufacturer, our team will tackle your next auto repair. From tire inspection to transmission repair, our Honda service department is here for you. We offer competitive service specials and parts discounts. When you need service performed with genuine Honda auto parts, book your auto repair. Our new and used Honda dealership offers a fully-stocked parts department near Brandon and Clearwater. If you need to order OEM Honda auto parts online, shop Westshore Honda. We carry OEM products and accessories. Give your Honda Civic personal style with our full selection of new Honda performance parts. Drivers can shop our inventory at our Tampa Honda dealer or order your auto parts online via our website. Our website is your online resource for all things Honda. Browse our inventory of new cars for sale, schedule your oil change, and order OEM auto parts from the comfort of your home. If you have a question about a particular vehicle or service, contact us at your convenience. If you are wondering if it's better to buy or lease, our finance associates can value your trade-in and estimate your monthly payments. We hope to see you soon at Westshore Honda in Tampa, Florida.